I finally decided to try the Sally Hansen Salon Effects! I believe I picked this design up (It Girl) a few months ago at riteaid on sale. I am in love with this color! If anyone knows a nice neon pink polish exactly like this please let me know! I would love to have it. 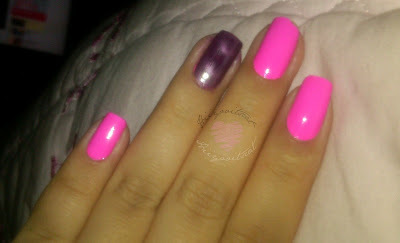 I own China Glaze Neon Shocking Pink.. but it's a tad bit lighter than this. Please read on to see my thoughts on this product and more detailed photos. I always seem to try things late or after a trend is over lol! but hey that is when they go on sale right? and I love a sale =). In case you are unfamiliar with this product (I doubt it though).. These are stick on nail polish stripes for quick on the go application, no drying time. Sally Hansen is only one of the brands that carry this type of applique and they have a ton of beautiful designs. These are great for times when you have to be out the door in 15 minutes or in my case too busy/lazy to paint your nails and wait for your polish to dry. You can find these at beauty stores and mass retail stores as well as drug stores. Price ranges from $9.99-$3. You will usually find them for $6-$9 in drugstores original price or on sale as well as bogo sales. Ive seen them for the lowest $3 at big lots and for clearance at cvs. You will find a mini nail filer with a rough and smooth side as well as a wooden stick to smooth out the stripe when it is applied to your nail. They give 16 nail polish strips that vary in sizes to fit every nail size, extra in case you mess up I guess. The strips are packaged inside a tightly sealed plastic cover. Do not open it unless you know for sure you will be using the product, because they are made of real polish these nail appliques do dry up. Like many things some people get it right away and others need to get use to it. I needed to get use to it. 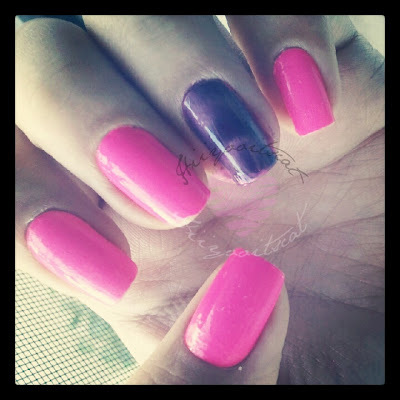 It was weird that I had trouble with these because I didn't have much trouble with the kiss nail dress ones. You have to be careful when working with these because they are very thin and tear easily. 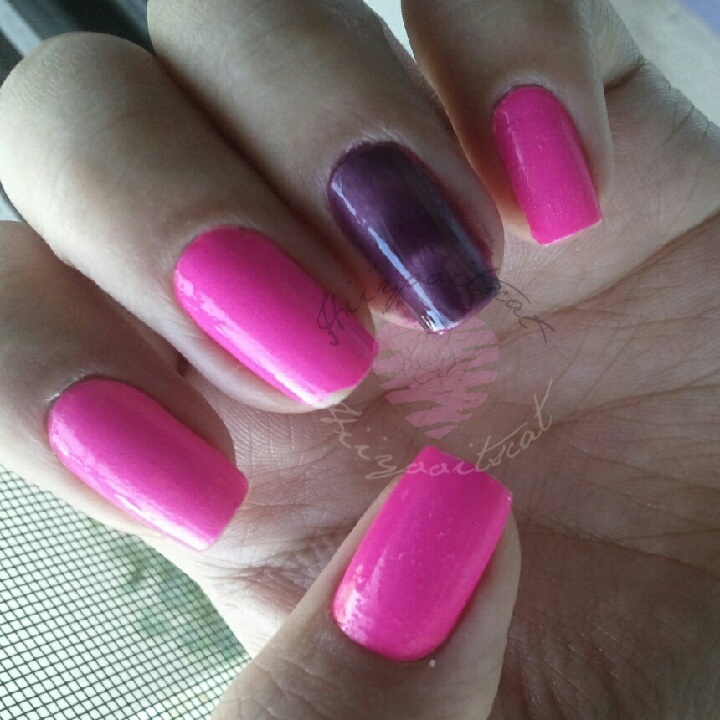 The are stretchable to adjust to your nails better but I wouldn't stretch them too much or they will mess up. You actually don't even need to use the nail filer it comes with, you can just fold and tear it off against the edge of your nail. Just keep the mini filer in your purse or car. Trust me carrying one around comes in handy =). You also want to make sure your nails are clean, dry and smooth because any ridges and bumps on your nails will show through the stripe. Oh also, not sure if its a no-no.. but I put a top coat on top thinking it would last longer and I think it might have left the bumps you will see in the next couple of photos. The color is sooo pretty! I kept staring at my nails lol. It is a color I would have never wore completely but I'm glad I tried these. I would try them again to give them another chance. I really think these just take some getting use to applying. I like a lot of their designs but I will probably only get them on sale =). It claims to last up to 10 days with no chipping. However, because I probably did not apply them properly they started chipping within 3-4 days. In order to remove, the polish all you will need is good ole nail polish remover. Remove it as you would any other nail polish. I have been going around trying to collect some of the designs I like (on sale of course lol), for those weeks I am too lazy to paint my nails or cannot come up with a design lol. 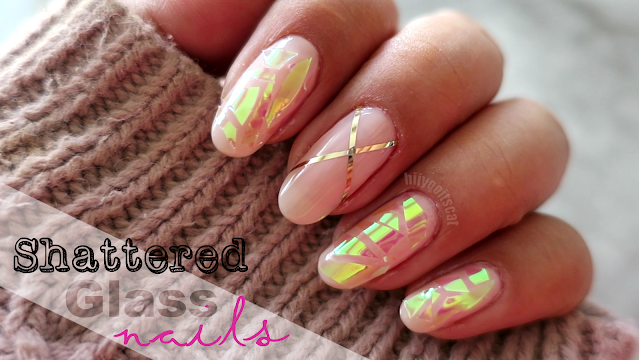 I believe you can also stamp on top of these if you like and do any nail art. I hope you guys are enjoying my review of the salon effects. It was really hard for me to try to get the true color of the strips =). If you have not tried these I recommend trying them. At the moment my Big Lots has a yellow shade that I cannot find on their website to give you the name. I have also seen some Valetine themed ones at TJmaxx =). Also, check your local CVS I believe they have some for their beauty clearance sale. If you have tried nail strips before which brand is your favorite? as well as which design? I like to see what other peoples tastes are hehe.